Recently, I've seen so many food stores launch vegan options and clothing brands going cruelty-free etc which is amazing. I'm so proud and happy people are opening their eyes to the cruelty and suffering animals experience in the world and how people are becoming more compassionate as a result. 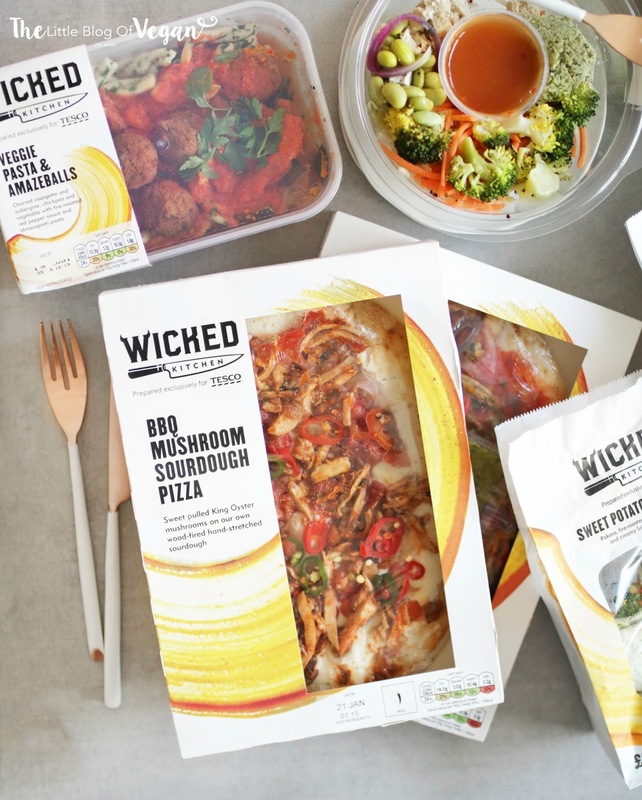 Tesco has just launched their brand new vegan range, Wicked Kitchen. One of the problems I've struggled with is being able to buy good, wholesome and tasty food on the go and one of the things I really like is that they have brought out a complete range which gives a variety to choose from. 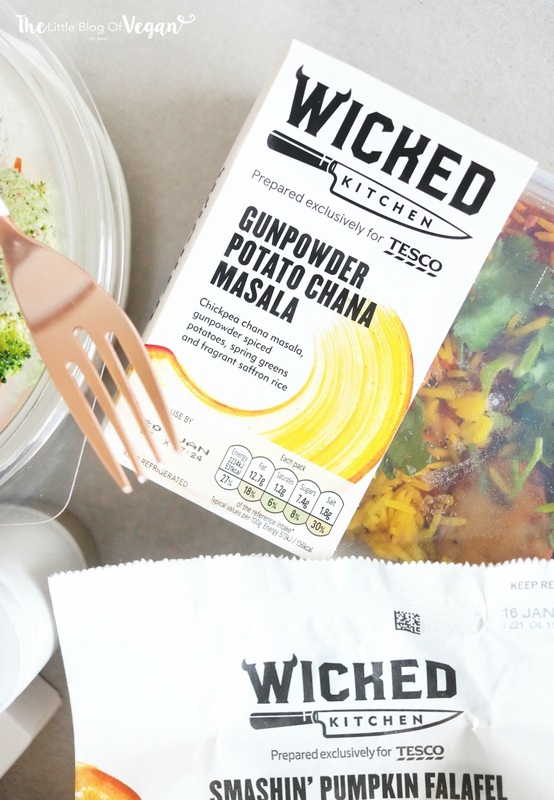 You don't have to be vegan to enjoy Tesco's Wicked Kitchen range of food. They are packed full of taste so that you are left feeling satisfied. It's come at the best time as it's now Veganuary and I know a lot of people are trying to find delicious meat-free options (which is amazing)!! Not everyone has a few hours to spare to cook up a meal, so these new quick, easy and accessible dishes are perfect! They've been made in collaboration with Derek Sarno who I love. 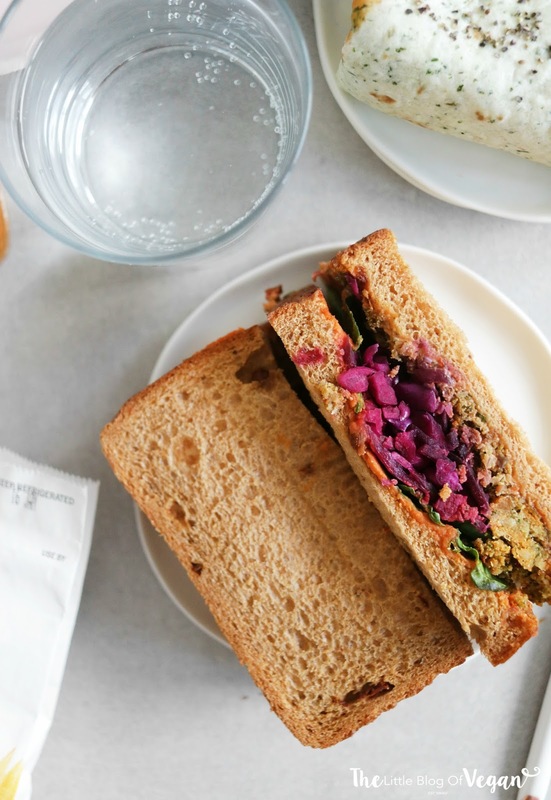 Derek is a plant-based chef & Veganuary ambassador and makes some of the most divine dishes. He has partnered with Tesco to launch this array of flavourful ready meals. They're available in selected Tesco stores. Not only are there options to enjoy on the go, but they also provide ready meals like the pizza and curry to enjoy hot at home- Yay! I picked up a selection of products to try out and review. If you like curries, the Gunpowder Potato Chana Masala is the dish for you. I am the biggest fan of Indian cuisine and I have to say, this is one of the best ready meal curries I've ever had! It's packed full of rich, spicy flavour, roasted potatoes, masala chickpeas, spring greens, fried onion and coriander along with a fragrant saffron rice which compliments the spices in the curry beautifully. LOVE! It's also a source of protein which is an added bonus. I also enjoyed the Smashin' Pumpkin Falafel which is a pumpkin and chilli falafel with pickled vegetables, red pepper houmous, a rapeseed oil dressing served with tomato bread. You get a burst of different flavours and textures with every mouthful. I particularly liked how the crunchy pickled vegetables complimented the softness of the falafels. This is certainly one I will be buying again! Along with the yummy dishes, the packaging is really appealing. Tesco have really excelled and Derek Sarno has done a tremendous job in bringing out such amazing, affordable, quality, plant-based options. 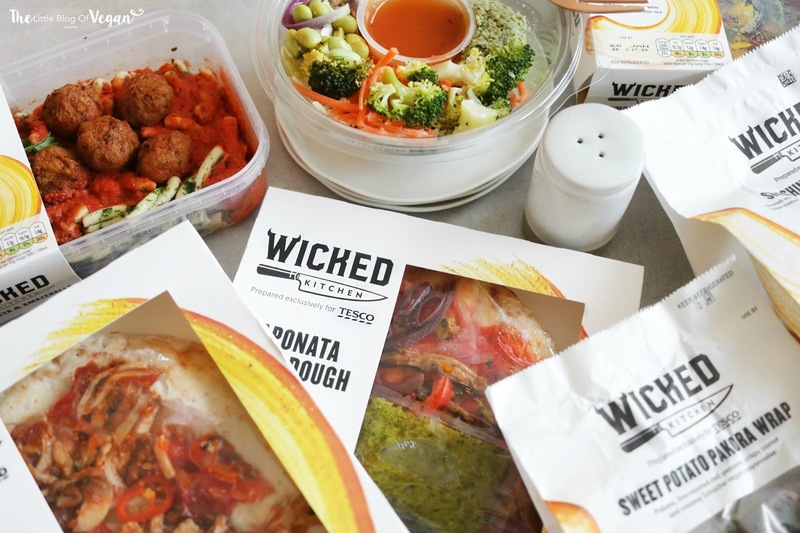 I've already seen Wicked Kitchen take off on social media and I am so excited to try more of their range and to introduce my followers as I know they will love it! If you try any of the Wicked Kitchen range, I would love to hear what your faves are! A huge thank you to Tesco & The Blogger Programme for collabing on this blog post with me!